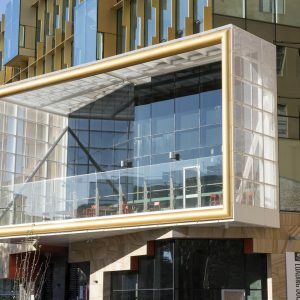 Temporary metal architecture has fast become a permanent trend. 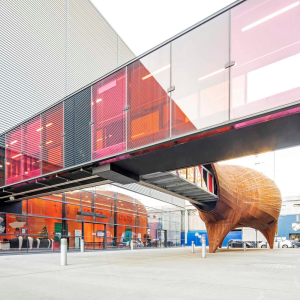 From full-scale pavilions to intricate art gallery installations and metal event displays, short-term metal structures are popping up everywhere. And there’s a reason so many of them use perforated metal. It’s a simple but striking form, easily fits together on-site and can be custom designed. It is lightweight yet is durable and strong. And it can be quick to ship – at Arrow Metal we have standard perforated metal profiles in stock ready for immediate dispatch. 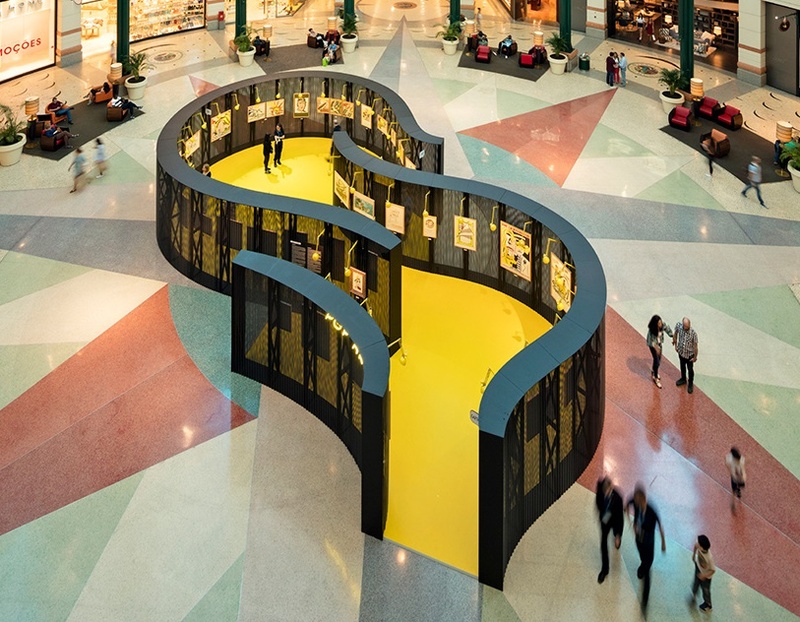 Shopping centres are part and parcel of modern popular culture so it’s only fitting that this was the setting for a temporary museum showcasing the work of American pop artist Roy Lichtenstein. Created by Diogo Aguiar Studio and Joao Jesus Arquitectos, the unconventional temporary metal exhibition in a Lisbon retail centre encouraged visitors to get up close and personal with the artist’s works. Pieces were mounted upon a series of black curved perforated metal walls, in purposeful contrast with the bright yellow flooring and lights – a signature colour of Lichtenstein pop pieces. 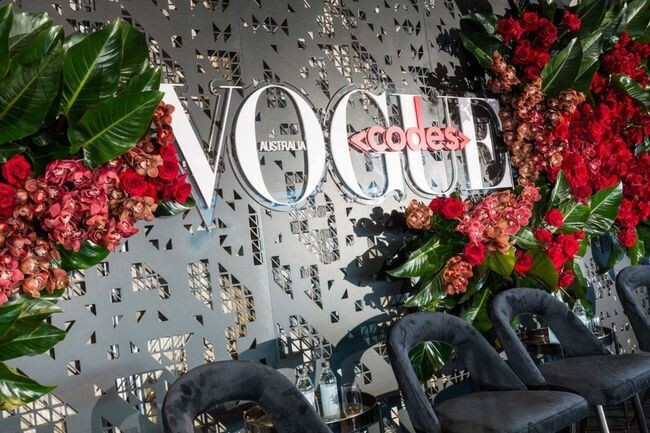 Fashion bible Vogue knows how to make an entrance, greeting guests at its 2017 Vogue Codes Summit with a stylish and super-cool perforated metal wall. Manufactured by the Arrow Metal team for event organisers Jay Productions & Events, the temporary metal wall featured a series of unique and intricate triangular perforations. 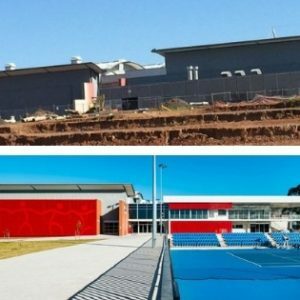 Turned around in just three days, it shows just how fast custom perforated metal can be made for the most distinguished events. 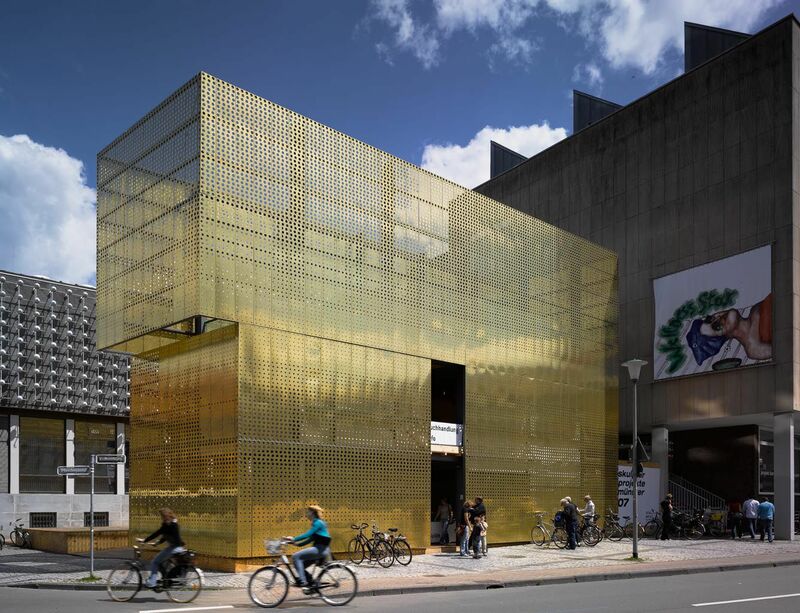 This golden perforated metal pavilion is a shining example of just how dazzling temporary metal architecture can be. Created by German architects Modulorbeat for Sculpture Projects Munster, the 12-metre structure was home to the event’s information desk, bookstore and guest sun terrace. The richly finished perforated metal facade not only resulted in a show-stopping light show at night, it also served to shelter visitors in the day, without affecting the varied views. Showcasing something as intricate and small as jewellery needs a special type of display stand. 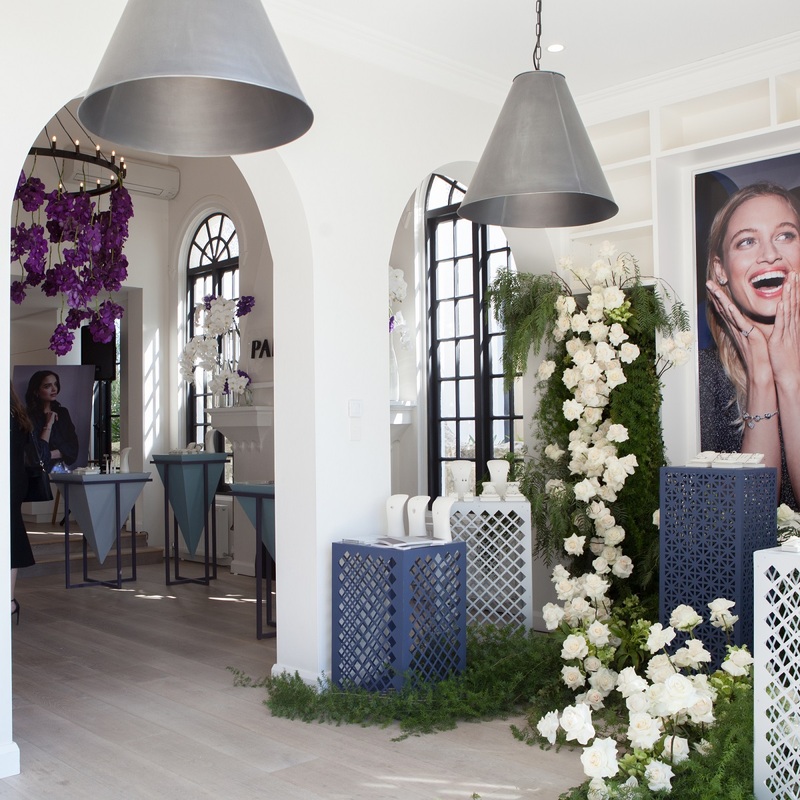 For Pandora’s prestigious media launch of its DO range, event organisers Jay Productions & Events once again relied on the expertise of the Arrow Metal team to make the collection sparkle. We manufactured the perforated metal for the event’s display stands, with the perforation patterns custom-designed to enhance each piece. Every panel was cut to exact specifications using CAD drawing and our state of the art machinery, for the perfect finishing touch to the jewellery. 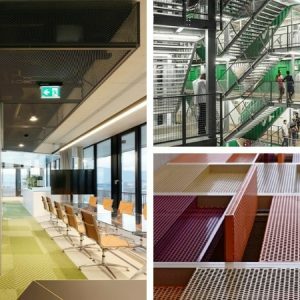 If you need quality perforated metal fast for a temporary architecture project or a custom solution for a metal structure, talk to the expert Arrow Metal team. We can advise profiles and materials to fit your turnaround time and budget. Call us on (02) 9748 2200 or send us an online enquiry.